Comfortable cabin accommodation immersed in Wilderness. Nature enjoyed like this is as rewarding as it is rare. Serene in forested surrounds and set beside the soothing waters of Christmas Creek, Serenity cabin helps to connect you with Nature. Spend the day exploring the creeks, waterfalls, wildlife and forests of Lamington National Park. Retreat to a stylish cabin for a warming fire, inside or out. Maybe a bbq? Or a swim in your very own, very private rock pool. Or just read a book - better still, write one. Serenity is totally self-contained and offers the complete getaway for those who need the space to unwind, relax and connect. Bimbul, our other equally private cabin accommodation, complements Serenity and is different. If our first cabin is about calm and restitution then Bimbul is more one of energy and inspiration. While Serenity is closed in by forest, Bimbul is open to the forest canopies. Wongari's expansive 360' views of mountains. literally, places you in a salad bowl of mountainous proportions. Bimbul is still young but settling in like it was always there. It is built on the side of a hill, under the shadow of our towering Buchanan's Fort and overlooking Christmas Creek, just 50m away through a grove of Hoop Pines. 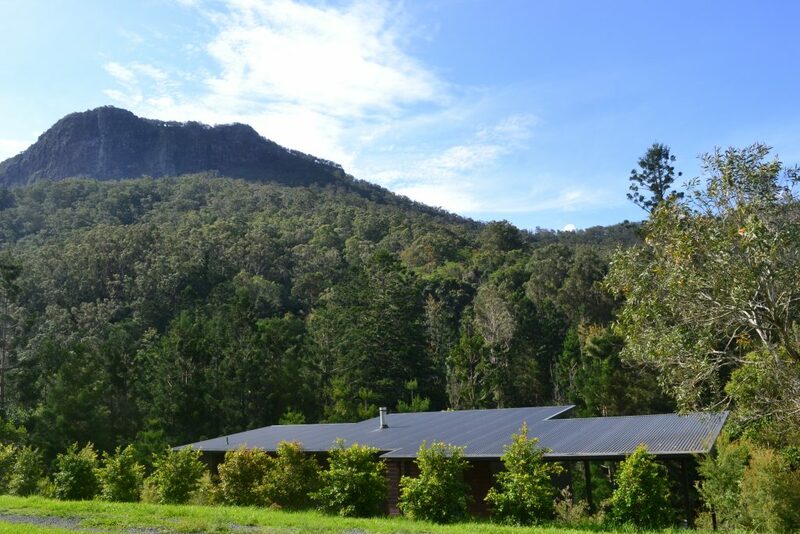 Powered by a hydro-electric turbine, the very best of renewable energies, it is the most sustainable way to live with nature - it consumes nothing but keeps giving. In every way you are truly 'Off-Grid' when choosing Bimbul. This video is a comment by guests, Nicole and Greg, who stayed in Wongari's Cabin, Bimbul, and whose profession is Photography. * Greg first observed Wongari's location acted like a 'salad bowl' because it is ringed by mountains. The complimentary video captures beautifully the essence of Wongari Eco Retreat and the balance that is strived for between the enjoyment you get from Lamington's rare wilderness setting and the comfort of eco-friendly cabins to do it from. 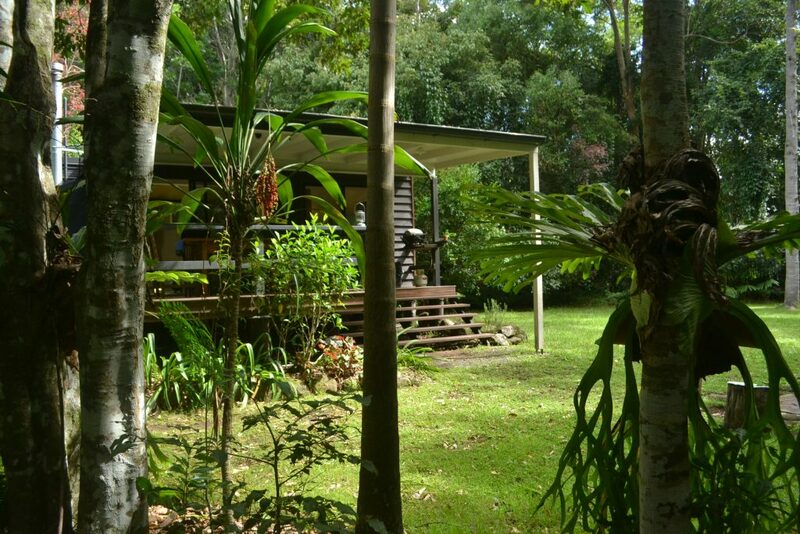 Wongari Cabin Accommodation, South-east Qld, just 90 minutes from Brisbane and the Gold Coast. So Near - Yet, a World Away!